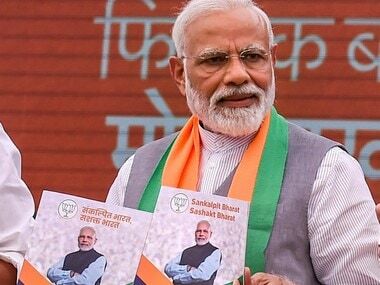 This can be said without too much fear of contradiction: Congress president Rahul Gandhi was too busy fighting a Twitter war with Prime Minister Narendra Modi to think of alliances in states. He may have mistaken hashtags for Lok Sabha seats. Yet he remembered Karnataka. This was where the alliance of Congress and Janata Dal (Secular) was put together in the shortest time in India’s political history to keep BJP out of power after the May 2018 Assembly elections. If the attempts to forge alliances made little or no progress in other states, it was primarily for two reasons: One, Congress refused to budge from the high horse and spare enough seats to potential allies; Two, its local leaders were opposed to either an alliance or the number and choice of seats. On both counts, Rahul put his foot down in Karnataka and saw and ensured a deal. Though JD(S) wanted 12 seats and settled for eight, and parted with a couple of constituencies where it is strong, the agreement is generally understood to be loaded in its favour. Congress, as the national party, had been similarly expected to be accommodating towards smaller entities elsewhere, but it wasn’t. If it was, the Opposition might have been closer to a mahagathbandhan than it is today. 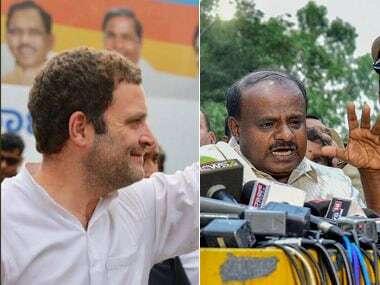 While it was a desire to defeat BJP that weighed on Rahul’s mind, it was a feeling of mutual survival among Congress and JD(S) leaders that clinched the Karnataka agreement. For some leaders, a breakdown of seat-sharing talks meant losing seats to BJP and perhaps a subsequent collapse of the government in the state. This only meant loss of power, the primary objective of their politics. For others, it was personal or family interests: the absence of an understanding would mean defeat for themselves or family members or political heirs. 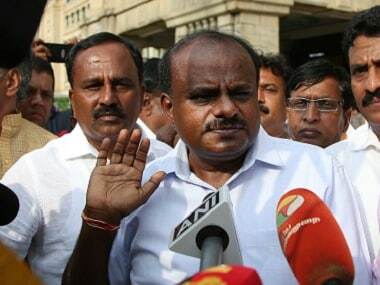 For instance, Kumaraswamy needs Congress in the Mandya constituency where his son Nikhil may face a tough challenge from actress Sumalatha. Congress leader DK Shivakumar needs JD(S) votes to guarantee a comfortable victory for his brother DK Suresh in Bengaluru North. If you thought the alliance in Jammu and Kashmir is freaky — Congress and National Conference share some seats but will have friendly fights in others there — the arrangement in Karnataka may turn out to be simply outlandish. Short of its own winning candidates in three constituencies, JD(S) leader Deve Gowda has hit upon a novel idea. He wants to field three Congress leaders on JD(S) tickets. Something like a person borrowing tomatoes from his/her neighbour. Some Congress leaders think it might be simpler for Gowda to hand over the three seats — Udupi-Chikkamagaluru, Uttara Kannada and Bengaluru North — to their party, but Gowda wants to keep his lot of the allotted eight. And of the eight, three go to the Gowda family alone: Gowda himself and his two grandsons (including Kumaraswmy’s son). It’s the vote transfer between allies that should worry the leaders of the two parties most. Transfer of votes between allies has been a nightmare for parties and psephologists for long. 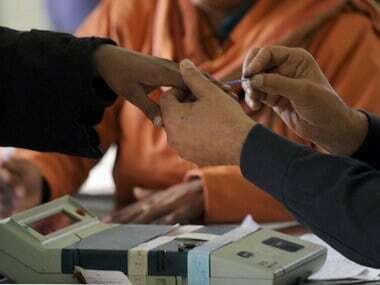 BSP leader Mayawati, for instance, has been lamenting that Congress had benefited from transfer of votes from its allies in UP in the past, but was never able to transfer its own votes to others. 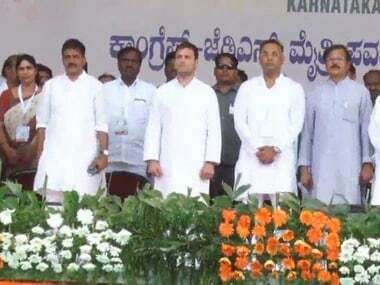 In Karnataka, the alliance has brought leaders together but kept the workers divided. There is unhappiness in Congress over the party sacrificing four constituencies to JD(S), where it isn’t strong enough to put up a tough fight against BJP: Shivamogga, Uttara Kannada and Udupi-Chikballapur and Vijayapura. The most disgruntled Congress leader is Deputy Chief Minister G Parameshwara, who is upset that the Tumakuru seat that falls in his home district has been given away to JD(S). This may have been the result of a ploy by former Chief Minister Siddaaramaiah, who has no love lost for Parameshwara. The seat that falls in Siddaramaiah’s home district of Mysuru stays with Congress, while Tumakuru was given away to JD(S). But the leaders of JD(S) and Congress are painfully aware of the importance of this election to both parties. For JD(S), a good show will mean the entry of two of Gowda’s grandsons, besides expansion of party’s footprint beyond its traditional stronghold in the south. And for Congress, Karnataka is where it can reasonably expect its best performance in the south. But despite the problems that plague the Congress-JD(S) alliance, the parties throw up a more formidable challenge to BJP together than they did separately in the past.